Grammy Award winning jazz rock band Steely Dan today announce a U.K. arena tour. With over 40 million albums sold worldwide Donald Fagen will be joined by special guest Steve Winwood. Critically acclaimed album ‘Can’t Buy A Thrill’ was named 145 in Rolling Stone’s 500 albums of all time, ‘Aja’ became a platinum selling album and ‘Two Against Nature’ saw Steely Dan win an impressive total of four Grammy’s including Album of the Year and Best Pop Vocal Album. 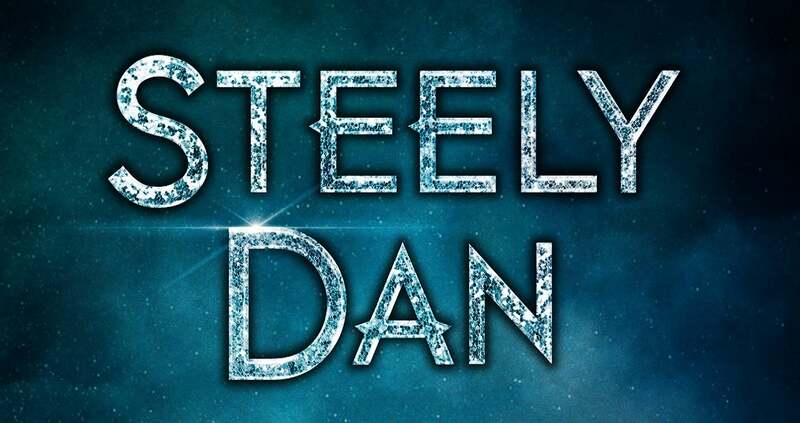 With plenty to showcase on their upcoming U.K. arena tour which kicks off on 20 February 2019, Steely Dan have celebrated a long history of success having worked with the likes of multi-award winning singers Barbara Streisand and Diana Ross. When Steely Dan took to the stage during BluesFest in 2017, the band were well-received with glowing reviews. Their U.K. arena tour will stop at Glasgow, Manchester, Birmingham, London, and Dublin during February next year. Composer, legendary vocalist, multi-instrumentalist, producer, multiple Grammy winner, BMI icon and Rock n Roll Hall of Fame inductee, Steve Winwood has sold over 50 million records in the course of his five-decade career. Winwood is a respected innovator in Rock ’n’ Roll who has created some of the genre’s most celebrated achievements. He will be performing the Greatest Hits of enduring classics from his days with The Spencer Davis Group, Blind Faith, Traffic, and the popular songs from Winwood’s enduring solo career. He has previously worked with Jimi Hendrix, The Who, James Brown, George Harrison, Tina Turner and more recently Carlos Santana, Tom Petty and Eric Clapton. The BMI icon award winner, honoured for his ‘enduring influence on generations of music makers,’ was named the one of the ‘Greatest Singers Of All Time’ in 2010 and is set to join Steely Dan for their much-anticipated U.K. arena tour in 2019.